A faulty garage door is the last thing that homeowners want to have to deal with. When your garage door is not functioning properly, it can quickly cause a delay in your plans, especially if you are unable to get your car out! There are many reasons to why a garage door system would stop it from operating normally, such as broken garage doors springs, a faulty garage door opener, or damaged garage door rollers. No doubt, these issues are an inconvenience to anyone who experiences them and it can be tempting to try to make the adjustments yourself, but without the proper knowledge and equipment, a simple fix can turn into a costly repair. When garage problems come your way, it is best to contact a professional garage door company. Expert technicians will have the required knowledge, experience, and equipment to ensure your door is operating properly and efficiently. If you are in need of garage door services in Bargersville, rather than choosing the franchise companies that will overcharge, you can rely on the reliable, transparent, and affordable services from Garage Door Doctor. 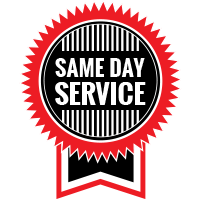 Our Bargersville garage door company offers complete, same day garage door services, as well as 24-hour emergency services. No matter what is causing your garage door system to malfunction, the team at Garage Door Doctor can get your door up and working again. Our local garage door company has been offering reliable garage door services in Johnson County and the surrounding areas for many years. Whenever you have a faulty garage door system, you can rely on our expert technicians to quickly get it backup and operating as it should. When it comes to malfunctioning systems in your home, a garage door system is easily one of the most frustrating. The best way to get your Bargersville garage door back up and running is to schedule a garage door appointment with us! Our team has experience repairing various makes and models of garage doors, so you can rest assured that we will quickly find a working solution that will last. A quality garage door system can really improve the operations and functionality of a business. We carry various makes and models of durable and reliable garage door systems to enhance your Bargersville business. Also, whenever your commercial garage door stops working, you can rely on our commercial garage door repair services to get it back up and running. There are a variety of working components in a garage door system. When one of these components malfunctions, it sometimes can cause the entire system to fail. When you are in need of garage door repair in Bargersville, our qualified technicians will perform a garage door inspection, repairing any issues along the way. When garage door springs break they are not only dangerous to the doors surroundings, but a broken spring can cause your garage door not function as it should. Luckily, our garage door technicians specialize in garage door torsion spring repair. Without working springs it is likely that you won’t be able to get much use out of your garage, but we can fix the problem. When you are ready to upgrade your old garage door, Garage Door Doctor offers a selection of premium doors and openers, such as Haas garage doors and LiftMaster garage door openers. WAnd, with our professional installation, you can ensure that your garage door will last for years to come. Regular Bargersville garage door maintenance will help ensure that your garage door system is performing properly to help avoid any future breakdowns or malfunctions. Our technicians are trained to give your garage door system a thorough inspection, checking for any issues or damages of concern. If needed, we can make the necessary adjustments and repairs. We get it, there are some garage door repairs that cannot wait until the next business day. Some repairs need to happen quickly, especially when urgent matters are at hand. 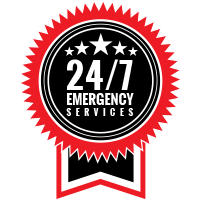 Whenever you have a garage door emergency, our team can immediately respond on-site to quickly make the needed repairs. Our local technicians are always on call and ready to provide immediate assistance for emergency situations. Whatever your garage door needs are, you can rely on the reliable and affordable garage door services from Garage Door Doctor. To receive a free quote, contact our garage door technicians today!